Irma is hailed by her international clients as a professional of the highest caliber, with decades of valuable experience as well as an original perspective that reveals a truly exceptional touch. She fully understands the lifestyles and special requirements of affluent buyers who expect the best and value complete discretion. The way these discerning clients experience their homes informs every aspect of Irma’s approach, and is the key to delivering completely satisfying results. In addition to designing bespoke apartments and houses for a private clientele, taking care of all interior design elements, Irma is known for creating exciting new concepts for commercial spaces. 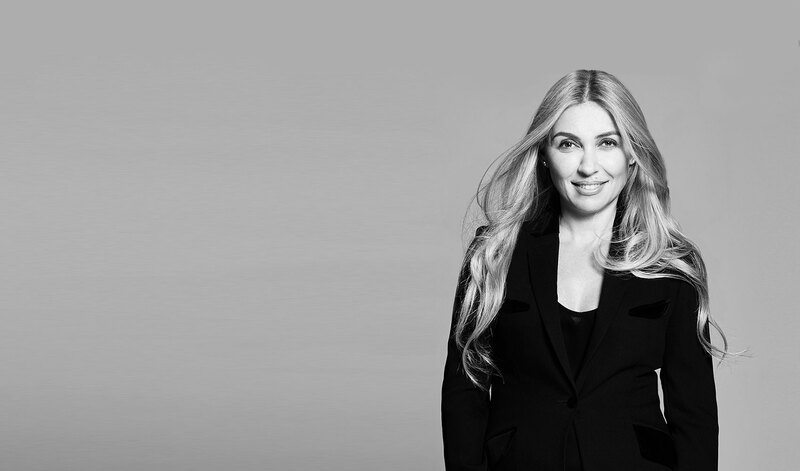 She also works closely with the foremost Italian furniture makers to design “haute couture” stairways, lighting fixtures, furniture, tableware, and accessories in accordance with the demands of each specific project. Irma Orenstein’s philosophy of contemporary architecture and design stresses the importance of clean lines, while paying scrupulous attention down to every last detail. Irma views each project as a personal one, accompanying her clients every step of the way. She is a full partner from the initial design concept onward throughout the detailed planning, implementation, and supervision of each stage. Orenstein’s design work has been shown internationally and was selected to be presented at the START Art Fair 2018 which took place at the Saatchi Gallery, London. She was also a key note speaker at the London Design Biennale 2018.